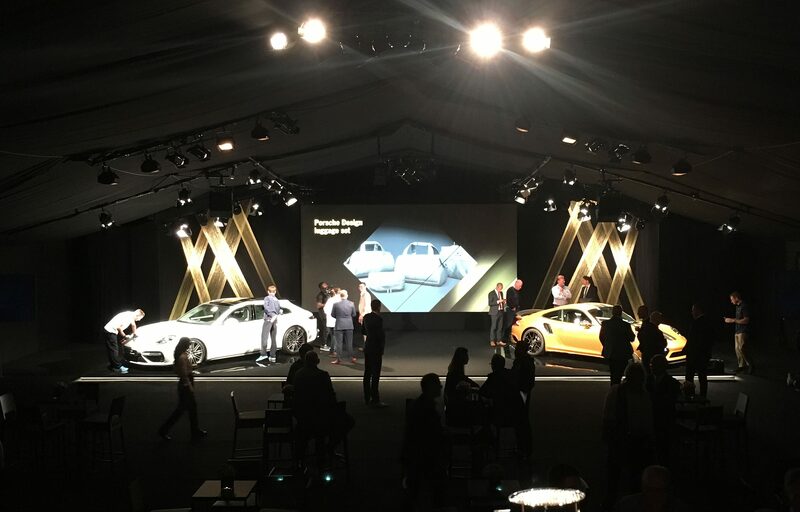 Perception were given the brief of creating an audio-visual experience in a marquee to a car showroom standard for the launch of two of Porsche’s new cars. 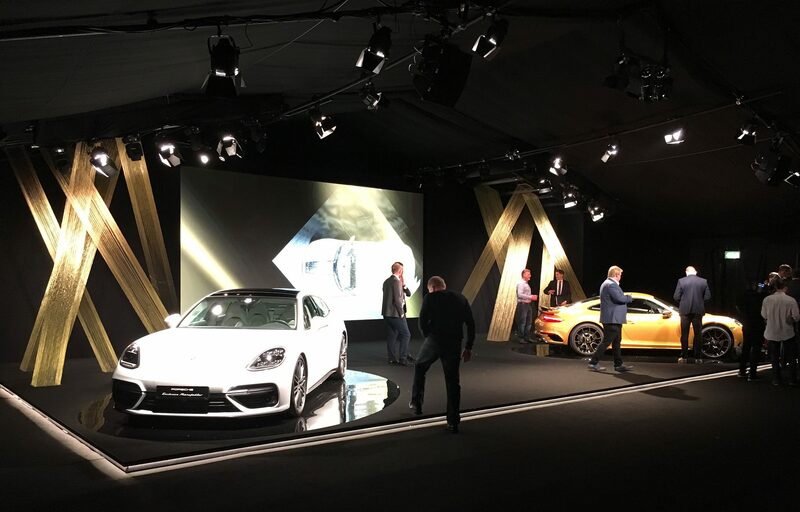 We worked closely with Energy’s creative department and their set builders to create a visual for us to work to; this included a large LED screen, golden tinsel shards and two of the new Porsche cars. 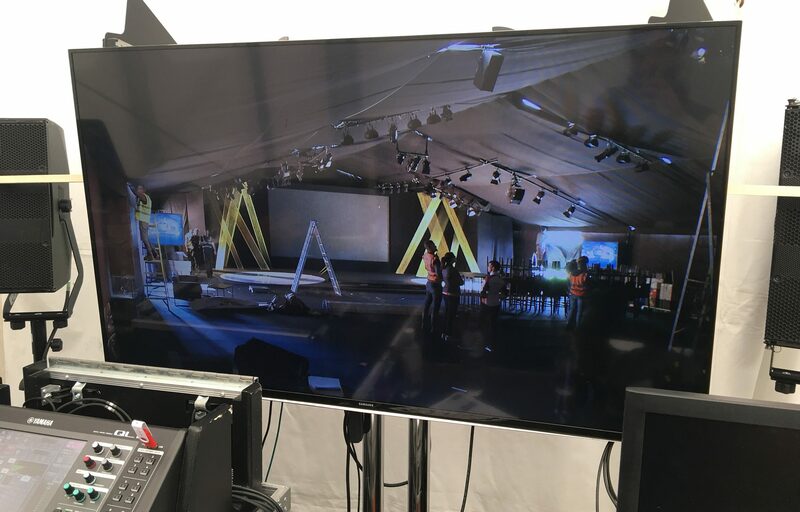 The stage was the centrepiece of the event, including a 7m wide 2.6mm pitch LED screen for them to show a custom made showreel on. 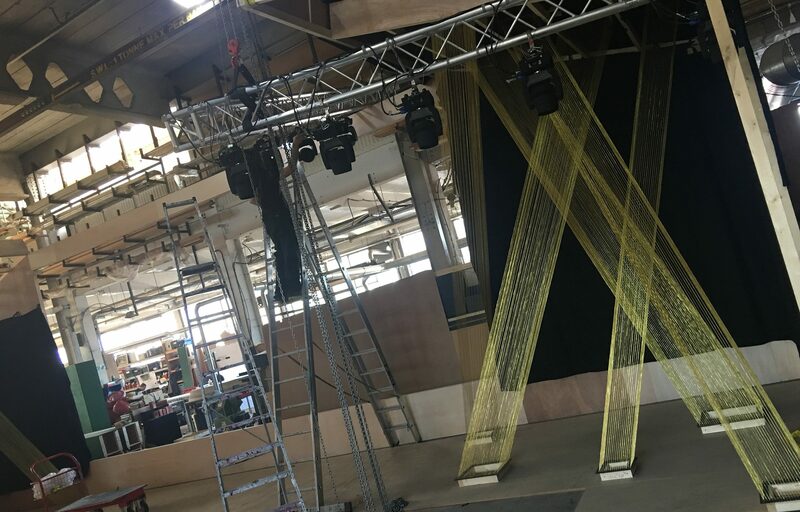 Around this, we designed a rigging grid to support the golden shards created by Helix and to hold the lighting rig. 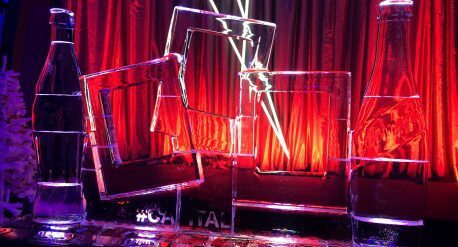 We used sixteen LED moving head washes to light the shards independently, and keep them in darkness during walk in. 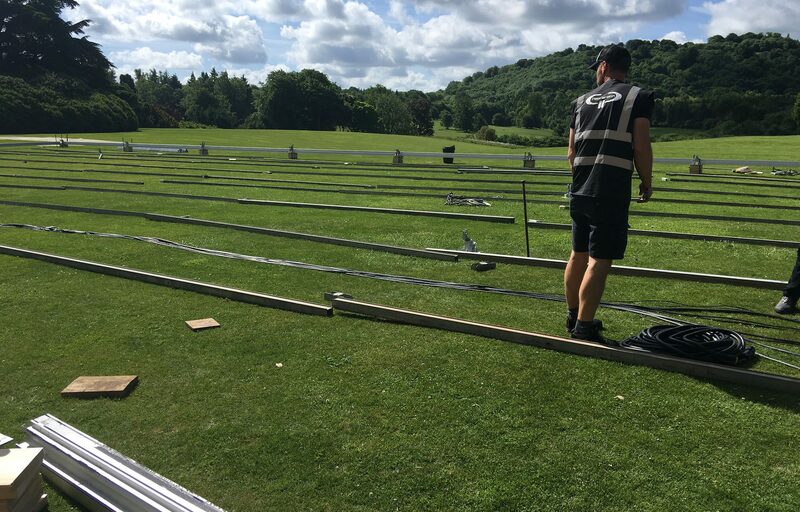 Other lighting in the marquee included wash lighting for the stage and soft profiling of the bar and artworks around the walls. All of this was designed using minimal rigging to keep sightlines clear. 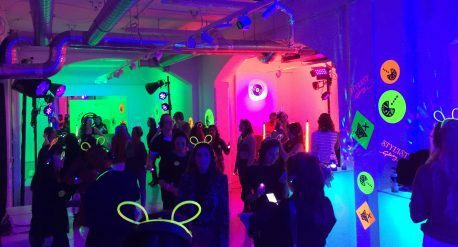 An electric violin duet were to perform during the show, so in keeping with the minimally intrusive look, we rigged clusters of compact d&b T10 speakers in the ceiling together with concealed subwoofers. 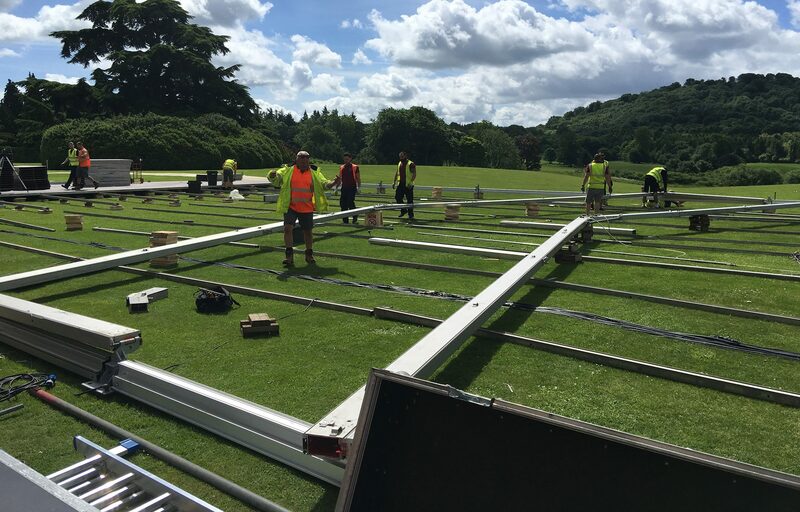 All of this needed powering – we supplied two 80kva generators in sync for redundancy. A completely separate 20kva generator was provided for catering. 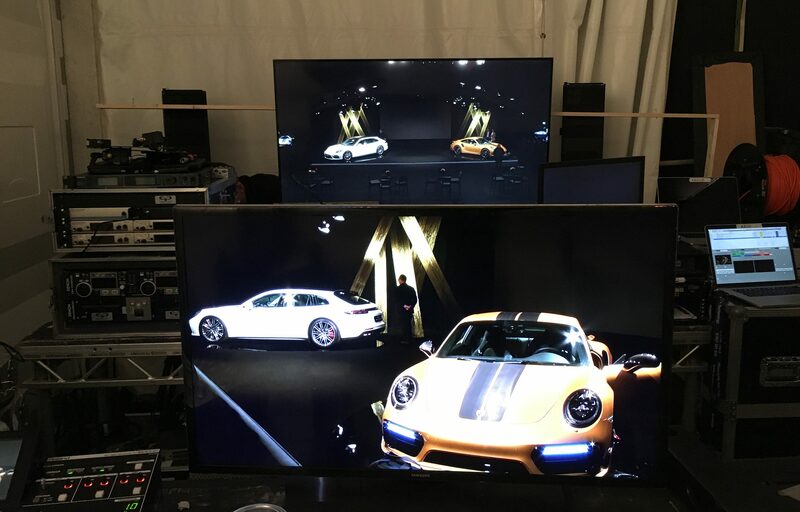 The final challenge was the AV control; as this couldn’t be on display, we used multiple redundant cameras and LCD displays to be able to view what was happening. The guest journey began at the front of the castle, arriving in Porsches. 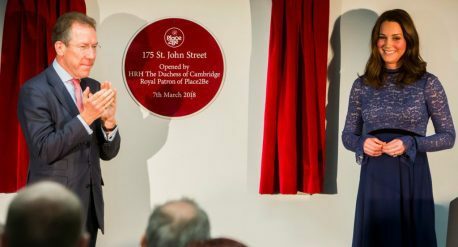 They paused for an introduction from the lord and lady of the house before seamlessly passing through a draped tunnel into the blacked out marquee. 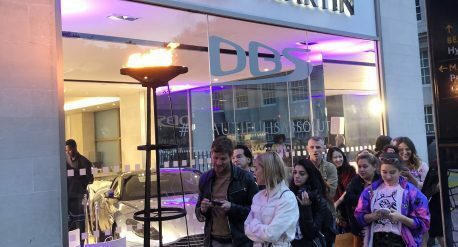 Canapés were served, and the event opened with the electric violin duet playing live along to the video; this opening sequence then culminated with the shards being lit. This whole sequence lasted only 4 minutes before the guests were invited onto stage and given a tour of the cars. 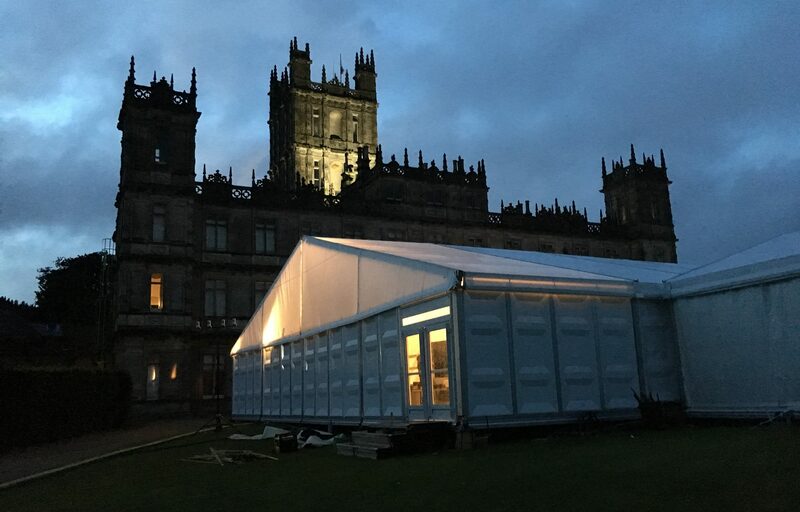 Comparing the final event to the visual, we created an almost exact replica of it in the marquee. Many small tweaks needed to be made in the lead up to ensure the lighting was kept in focus with the wind moving the structure, but the end product stayed true!